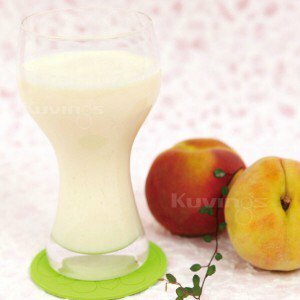 Peaches preserve a variety of minerals, vitamins, organic acids and fibre. Peaches are great for skin care and for removing wastage in intestines. Peaches help with blood circulation . It is recommended to juice with skin on. 1. Clean organic peach with water. Non-organic peach can be cleaned with lemon, vinegar, or baking soda. 2. Remove the seed. Cut to appropriate size. 3. Slowly insert into the feeding tube of the juicer. 4. Add orange if you want a juicy texture. 5. 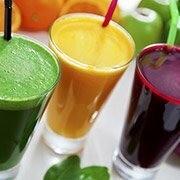 Mix the pulp in the juice for a pulpy texture or smoothie effect. Peach preserves abundant protein, amino acids, and pectin. Peaches are great for constipation and may prevent certain gastrointestinal diseases. A variety of minerals, vitamins, and fibre remove salt in the body. The skin of the peach removes the nicotine and toxic wastage in the body.